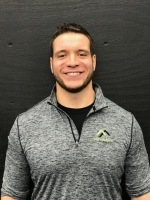 Owner - Head Trainer CSCS, CFSC L2, FMS, Pn1, XPS, CSAC, CPDS, CWPC Justin has 15 years experience, specializing in Athletic Performance Training and Personal Training. He focuses his training on creating programs that promote functional movement, reducing injury risk and improving performance. He has worked with clients from 8 - 73, helping them stay healthy and become the best version of themselves. Owner PT, MS, OCS, FMS, SFMA David concentrates his practice in the area of orthopedic and sports physical therapy. He is also an adjunct faculty member with the Physical Therapy Department of Northern Illinois University and the University of Minnesota. David's goal is to maximize physical performance and increase durability based on science and practical implications. General Manager - Trainer CFSC Theresa is passionate about creating and developing relationships. She works to develop a community of like minded people that are constantly working to become the best version of themselves. She is certified the CFSC, helping people train in a functional manner to help them achieve their goals. Trainer DC; ACSM Nick is a Certified Personal Trainer and a Doctor of Chiropractic. His responsibilities at Movement Fitness include Athletic Performance Training as well as Semi Private Personal training. He is committed to learning and growing, continuously finding new ways to help our people achieve their goals! 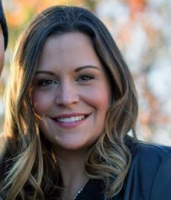 Trainer FMS; CFSC Liz is passionate about helping clients not only achieve their personal goals, but providing the support they need to develop new habits that will last and help each person become the best they can be. She understands the commitments of the working mom and is committed to helping them know it is important to take care of themselves first so they can take care of others. We are growing! Send us your resume.